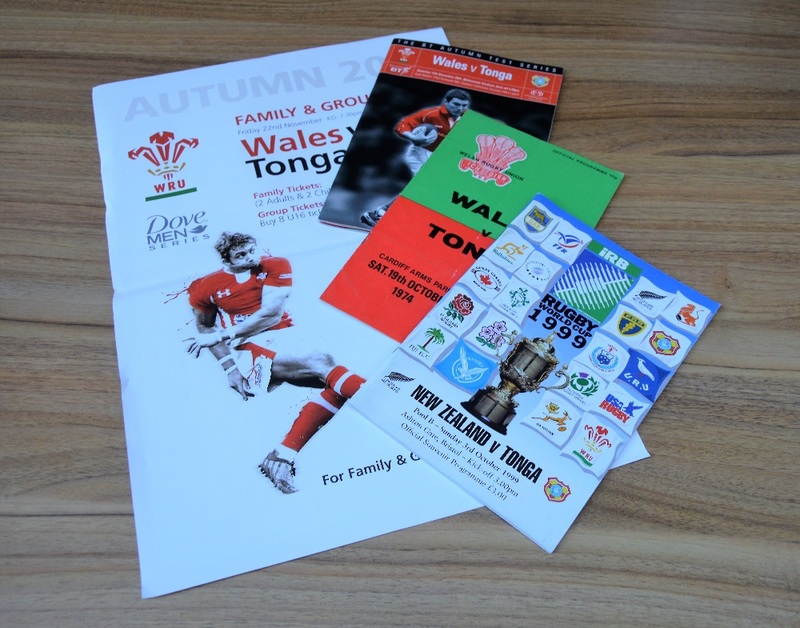 Tonga in the UK Rugby Programmes etc (4): Issues for Wales v Tonga 1974 and 2001; for NZ v Tonga at Bristol (RWC 1999) and an attractive A3 poster for Wales v Tonga 2013. All in VG condition. NB: Donated by Peter Owens to be auctioned for the benefit of the WRU Charitable Trust.